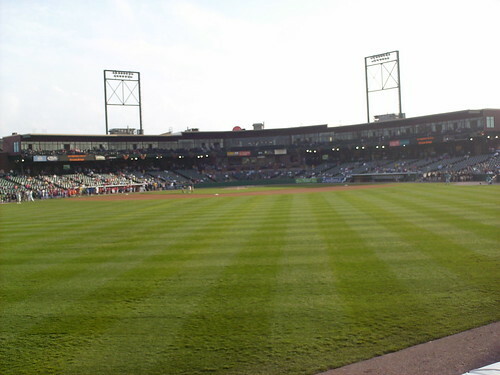 The view from behind home plate at PeoplesBank Park. 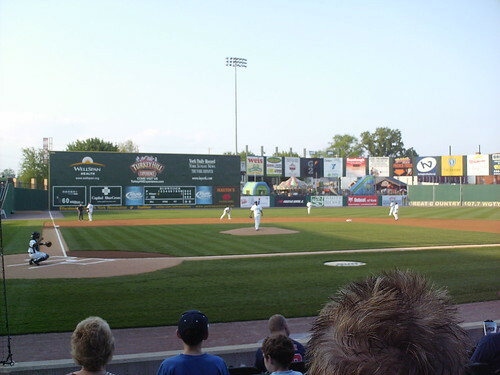 The view from down the third base line, looking toward the video board and picnic deck. 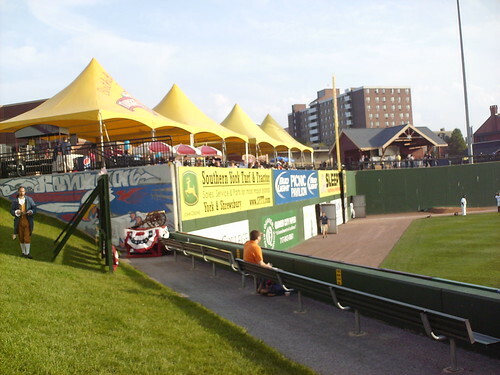 The grandstand and rooftop light standards at PeoplesBank Park, as seen from center field. 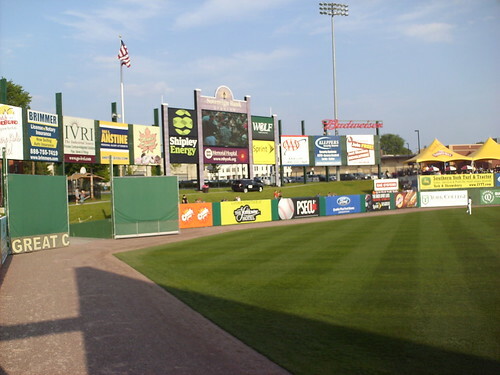 The outfield comes to a point in center field, just beside the outfield berm and scoreboard. 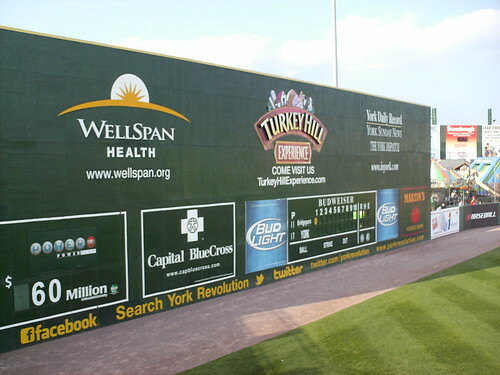 The "Arch Nemesis" in left field. 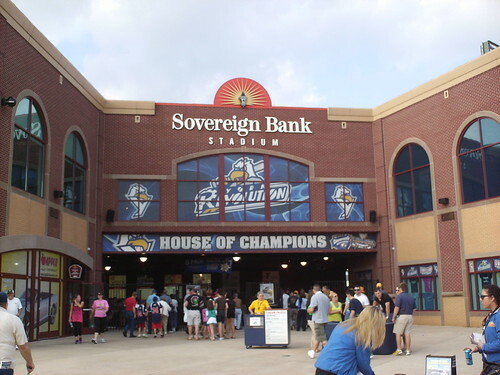 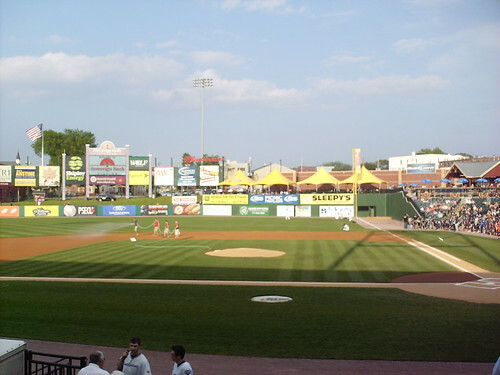 The ballpark runs up against Arch Street 300ft from home plate, causing the need for the large wall. 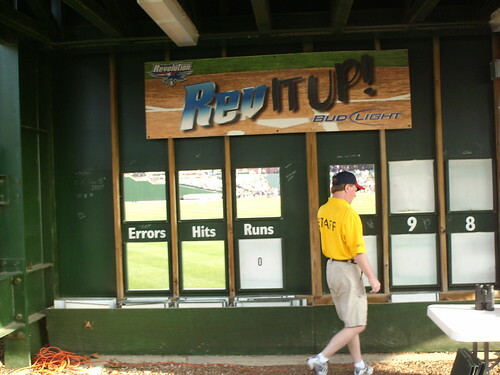 The view of the field from behind the manual scoreboard on the Arch Nemesis. 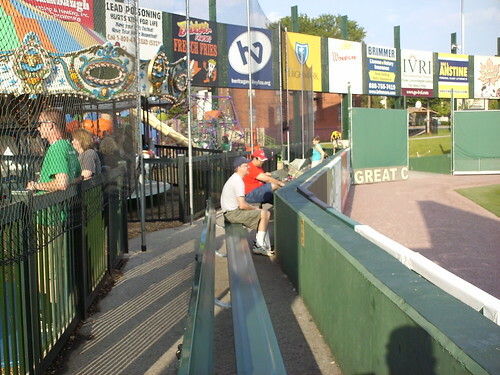 A single row of bleachers sits right up against the left center field wall, just in front of the kid's play area. 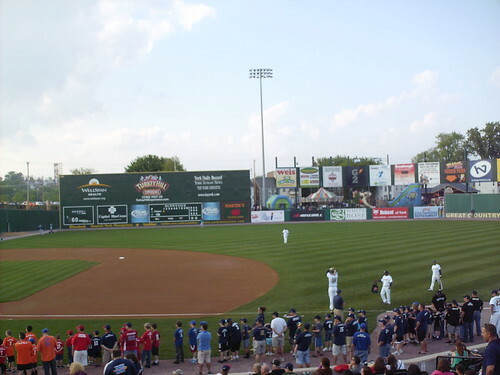 A cannon sits where the outfield fence changes height in right field, and is fired when the Revolution hit a home run. 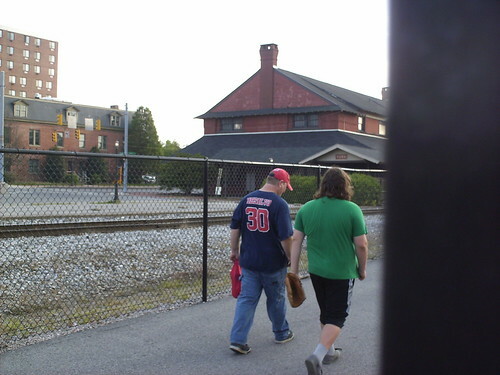 The old York Station on the Reading Railroad sits directly behind the park. 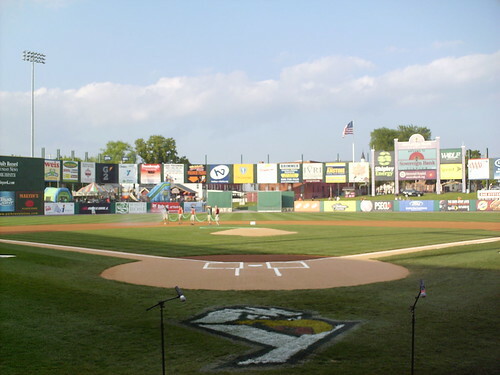 The York Revolution on the field at PeoplesBank Park.